Coming to a new city and a new country can be nerve wracking, we know. But, give it a few weeks and you'll understand why so many people fall in love with Rome. Here are few tips on getting by in the 'Eternal City'. General grocery stores are called alimentari and offer everything from salt and soap to vegetables and pasta. There are several big chain supermarkets, (ie, SMA, Margherita and Todis) that you can find also in our housing neighborhoods. You can get quality fruit and vegetables in the open air markets at Via del Vascello, Piazza San Giovanni di Dio and Campo dei Fiori. There you can also find household goods, as well as at the UPIM department store. Tabacchi shops (T) are the place to buy stamps, bus tickets and phone cards. TuttoCittà has an excellent website www.tuttocitta.it where you can find the shops closest to your apartment address. Simply type in the city “Roma” and your address, and click on “Fare la spesa” to get a map and listing of local shops. Italian business hours often differ from the 9 am to 5 pm U.S. standard. Most shops are open from 9:30 am to 1 pm, close down for the chiusura pomeridiana (afternoon closing) and open again from 4 pm to 7 pm. There are also Monday morning and Wednesday/Thursday afternoon closures for some businesses. Working hours vary for each business and you should inquire about the specific schedule for any location of interest. Opening an Italian bank account requires a valid stay permit and an Italian codice fiscale (a national ID number), but usually also takes quite some time and can incur high operating costs. The university does not recommend that study-abroad students open an Italian bank account. Instead, we highly recommend that you use the safest and most efficient method of accessing money in Italy: ATM (Bancomat) cards. Visa and Mastercard debit and credit cards are widely accepted and offer the best exchange rates. You should check with your bank before departure to ensure that your ATM card is authorized for international use. The easiest and most commonly used form of transportation is the bus. There are also trams and a two-line metro system in Rome. Bus stops, departure schedules and route information are found on well-marked signs throughout the city, and can also be found online at www.atac.roma.it . Orange, blue or green ATAC city buses and tram lines run from about 5am to about midnight. Bus tickets are sold at tabacchi shops, newsstands and many coffee bars. There are 100-minute tickets, 3-day, weekly and monthly tickets. You must validate (time stamp) bus tickets (except for monthly pass) in the yellow boxes when boarding the first transport vehicle; your 90-minute ticket will be valid for the ensuing one hour and a half (ie, 90 minutes), your 3 day ticket for three days, etc. 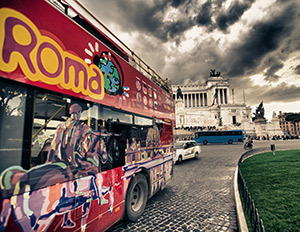 The monthly bus passes for students are only for Italian nationals residing in Rome. Even if you are encouraged to do so by well-meaning vendors, do not buy the student bus pass as you will be fined if found using it by transport officials. Illegal drugs are ILLEGAL. As a foreign student, you should be aware that the laws are different and search warrants are not necessary for drugs in Italy. In Italy, the police can require you to identify yourself. Therefore, it is essential that you carry a photocopy of your passport with you at all times. In extreme cases, the police can arrest an unidentified person until that person is positively identified. 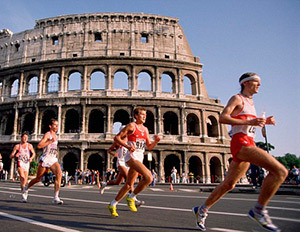 Italy has a low rate of violent crime, little of which is directed toward tourists. However, some travelers have been victims of crime and the more knowlegable you are the safer you are. 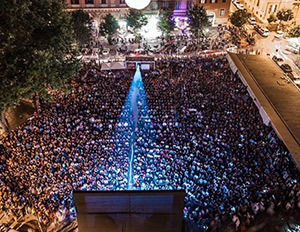 When going to nightclubs or bars in areas where crowds of people gather outdoors, you should be careful. Petty crimes such as pick pocketing, theft from parked cars, and purse snatching can be a problem so be aware of your belongings. Avoid walking on your own during night time, especially in parks or small side streets. Do not leave your personal belongings or drinks unattended or with strangers at any time. Be especially aware of your belongings in crowded places like public transportation and on night trains. Always carry your cell phone and a phone card with you. Always leave your travel plans with someone and while traveling, keep your money and documents in two different places. In your apartment, keep your shutters and serrande closed at night and whenever you’re not home. Always speak to any person who has buzzed your apartment through the intercom system to make sure you know who it is before you buzz them into your building – never buzz in someone you don’t know. Crimes in Italy are generally petty crimes of opportunity – just don’t leave that opportunity open! Do not invite people you barely know into your apartment – Italians socialize in public places and no one expects you to invite them in. www.metrebus.it (provides door to to door public transportation instructions within the city of Rome, with maps. Click on the British flag for English version). SlowTrav/instructions (provides a wealth of information about living in and traveling through Italy, including detailed instructions for daily living, supported by photographs. 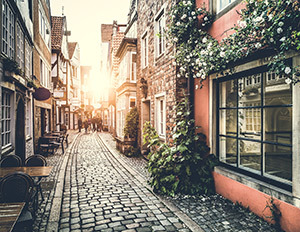 Covers a broad spectrum, from food shopping to operating washing machines, from making espresso, to catching a taxi, from using any kind of phone to going to the beach. Photographs help prepare you for the unexpected. Definitely worth visiting and revisiting.